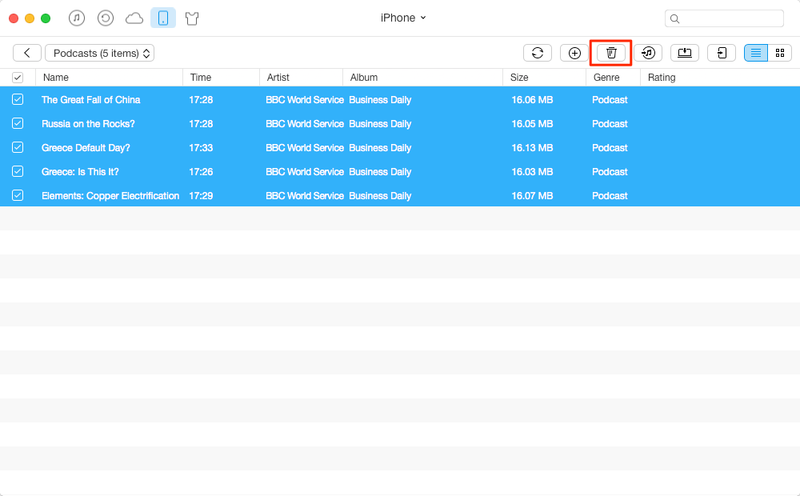 Want to delete podcasts from iPhone but do not know how? Read this guide to get two methods to help you make it. This easy-to-use tool can help you delete podcasts from iPhone 6/6s/5/5s/4/4s easily and quickly. Just download it to have a try. Podcasts is a wonderful application that allows you to know the latest news or get something meaningful that you are interested in. There is no doubt that podcasts can enrich our knowledge and broaden our horizons. It gives us a lot of pleasant time in everyday life. However, as time goes by, you may find that there are too many podcasts on your iPhone and they hold a large storage space. Then you may think about deleting some podcasts from your iPhone so that you can add new things. It can also help you get more available space for iOS 10 upgrade. 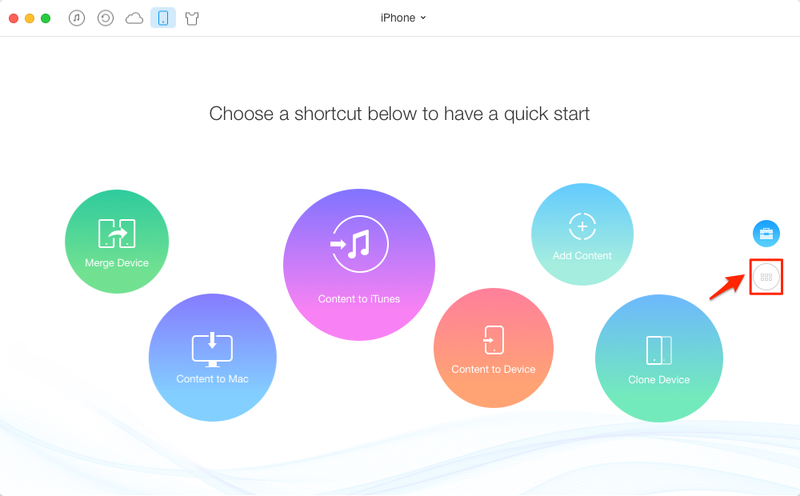 In the following part, we will first tell you how to delete podcasts from iPhone directly. If you can’t delete podcasts from iPhone, then you can go to Part 2 to see how to fix the problem. You will find that you can only remove podcasts one by one. It is quite troublesome when you have a lot of podcasts. Next, we will recommend you a nice iOS content manager named AnyTrans, which can help you delete all podcasts from iPhone easily. AnyTrans is a professional iOS content manager that allows you delete podcasts at once. It also supports deleting music, photos, apps, contacts, notes and more on your device. More than anything, you can transfer podcasts from iDevice to iDevice, iDevice to computer/iTunes and the reverse can also happen. You will find that AnyTrans is expert in managing podcasts on your iPhone. Now download AnyTrans and install it on computer and follow us to delete podcasts in an easy way. Step 1. Launch AnyTrans on your computer > Connect your iPhone to computer with USB cable. Click the button at the right hand. Step 2. Click on the Podcasts option. Step 3. Select the podcasts you want to delete > Tap Delete button. AnyTrans can help you delete podcasts from iPhone without effort. 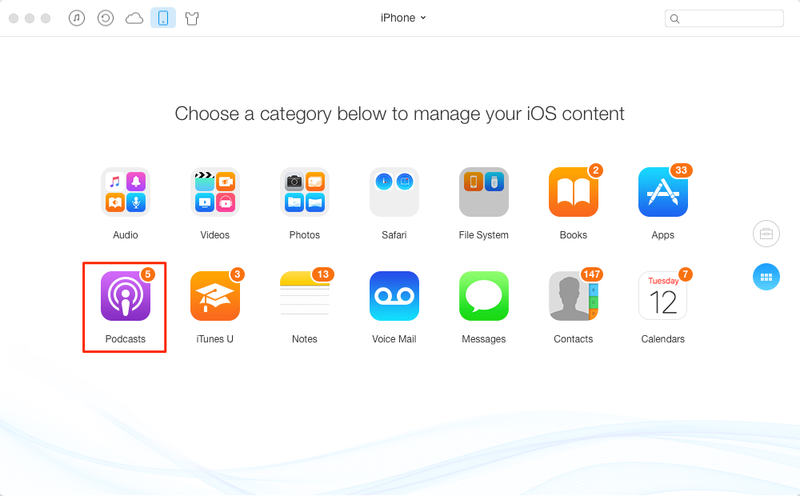 It can also help you manage iPhone contents in a smart way and always put them in the right place. So why not download AnyTrans to have a try? If you still have any questions on this guide please feel free to contact us via email. We will reply to you as soon as possible.